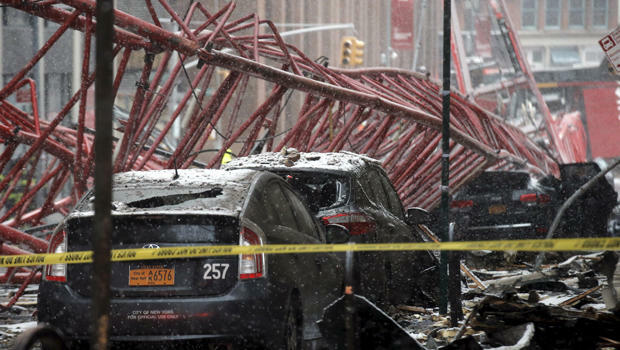 On February 5, 2016, yet another devastating construction crane collapse wreaked havoc in New York City, causing numerous injuries, a death, and leaving a path of property and automobile destruction. The crane, known as a crawler, was being used to install generators and air-conditioning units atop a building on Hudson Street in TriBeCa. At the time of the incident, the crane with an enormous 565-foot boom was being lowered in windy conditions when it collapsed, killing one person, injuring several others and causing significant property damage. This crane collapse comes amid a construction surge in New York City that has made cranes a fixture across the New York City skyline. The deadly crane collapse is just the latest in a series of accidents that have killed and/or injured innocent bystanders and construction workers. There are many laws in place to protect workers and civilians at and around construction sites. Property owners, developers, and all contractors must obey numerous laws and safety codes, which are designed to keep workers and the public safe. The attorneys at Tenaglia & Hunt understand the consequences that construction site accidents have on the lives of the victims and their loved ones. Our firm will fight for the compensation you deserve. If you or a loved one have been injured in a construction accident, please contact our office at 201-820-6005 for a free consultation.